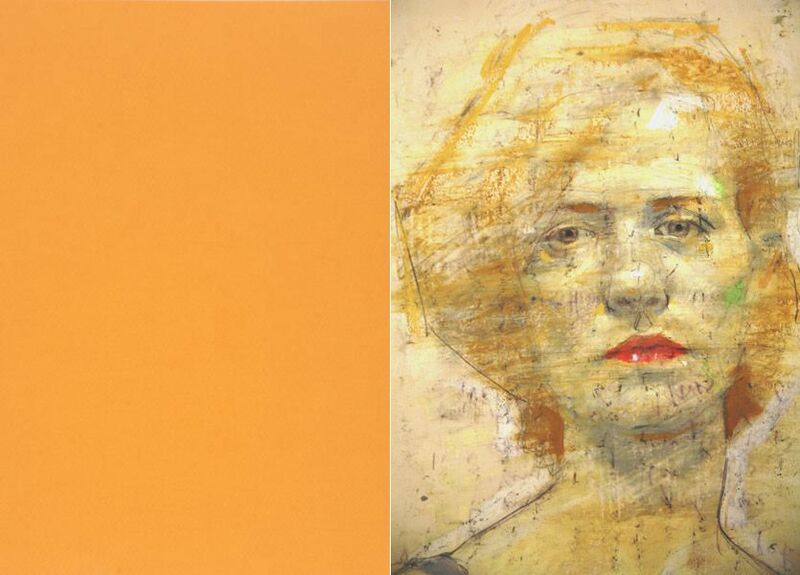 His portraits are […] diptychs where, on the one hand, the absolute of a substance or color takes the place of the gods of old, and on the other, the figure has lost the hands of the prayer. These reviews usually focus on photography and photobooks. However, it would seem that the best photography owes it’s power to the ability to represent something which portrait artists, working in traditional media, accomplish much more naturally. Attempts to define, even vaguely, what this “something” is usually fail, but the attempt itself can be interesting. 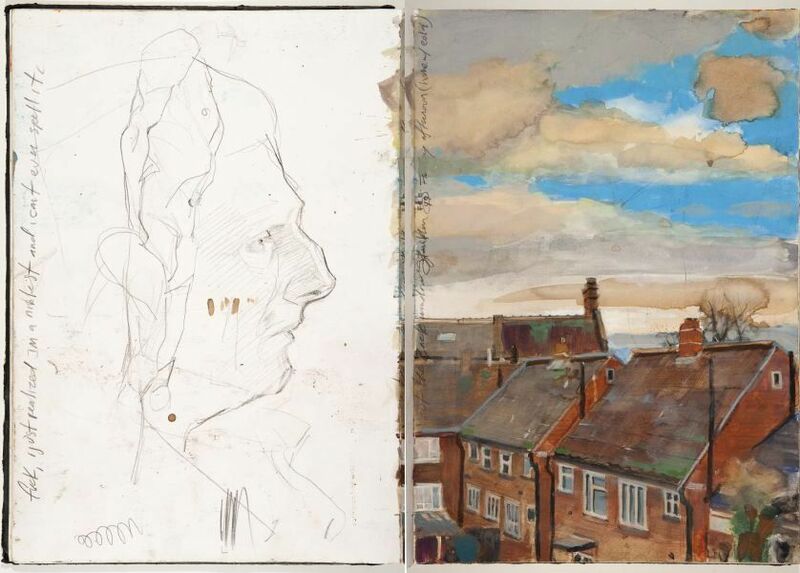 It is this ‘something’ that separates draftsmanship from art, and it is precisely this elusive nature that makes one return, again and again, to an image in an attempt to feel what it is that tips the balance. Craig Hanna opposes or approaches, we don’t quite know how, pure painting and a taut description of the figure. 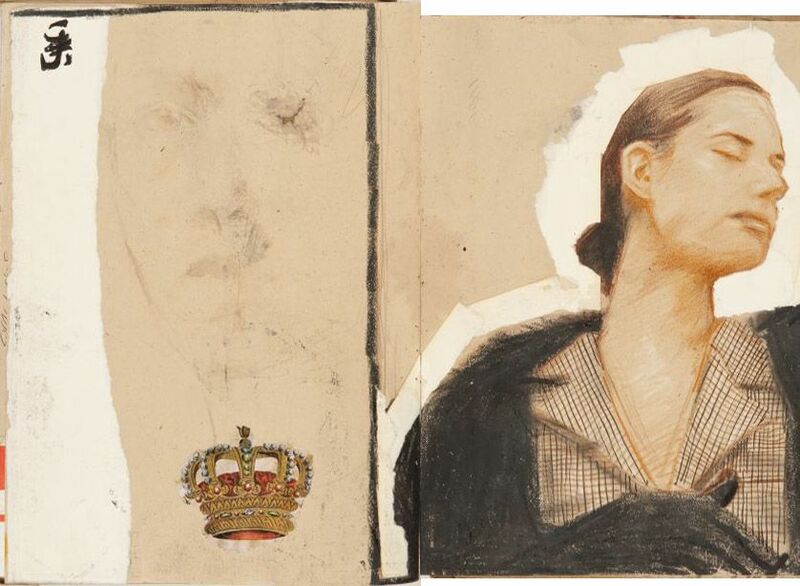 The counterpoint can play with the opposition of a face in front of two parallel lines, or of a naked body with a simple flower in front of the striations of a wooden panel, a material that the artist overtly displays. 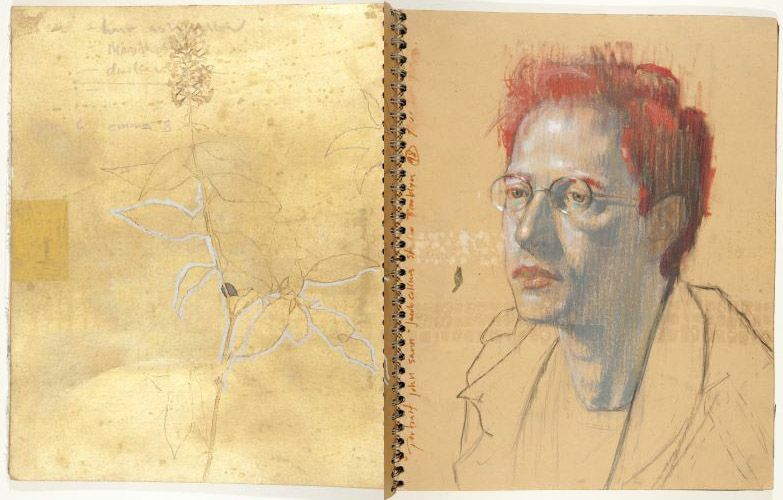 Sketchbook contains the pages and traces of an artist’s life. The spiral rings of the original are just visible and show the edge of the territory. 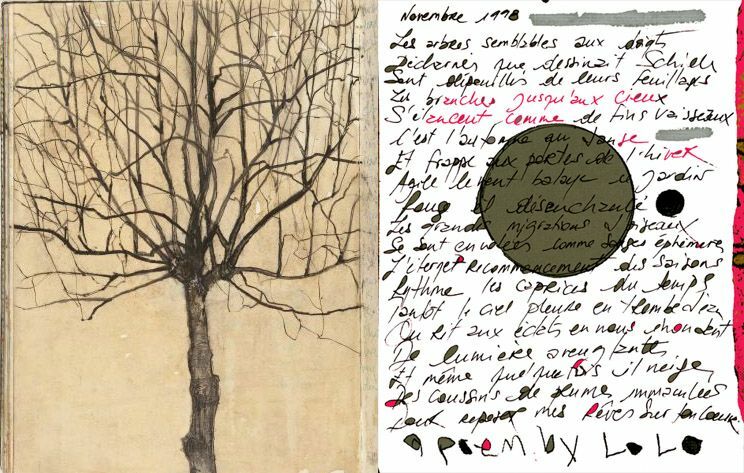 Some pages are filled with Hanna’s scrawl, a writing that unlike his images, has no sense of beauty. As if the image exhausted him and he could not bring himself to control the letters. Some of the work is deliberately loose, as if Hanna were holding back his considerable ability to delineate the objects of the world. The tension between skill and looseness hints at a dramatic power struggle, perhaps one that take place between different parts of the same man. 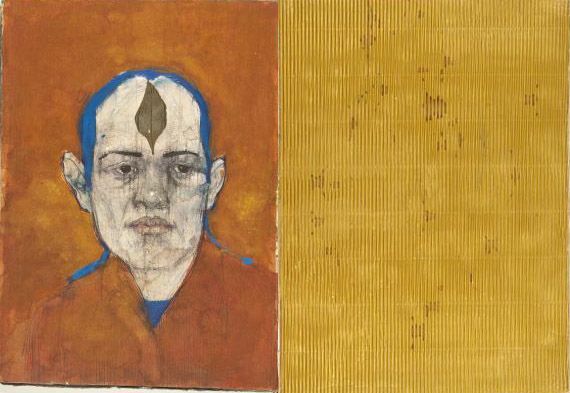 Hanna’s work is widely exhibited in the art centres of Europe. 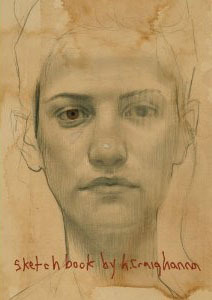 He earned a commendation in the 2001 BP Portrait Award at the National Portrait Gallery in London. 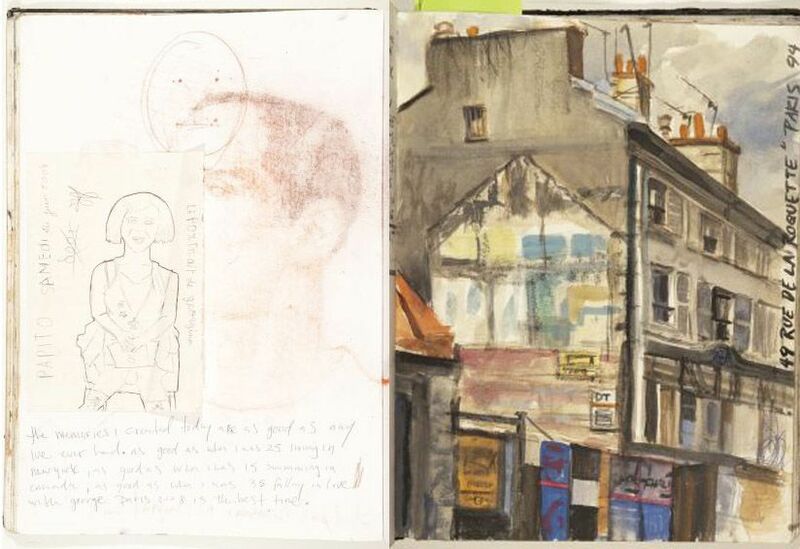 And his work is on regular exhibition at Laurence Esnol Gallery in Paris. Sketchbook is available there or online from the usual sellers. It is rare that one can call a book unreservedly brilliant. This one is. The thought which this picture is meant to convey is that the Indians as a race, already shorn of their tribal strength and stripped of their primitive dress, are passing into the darkness of an unknown future. In 1830 when the American President, Andrew Jackson, fulfilling an election promise to his western and southern supporters, pushed the Removal Act through Congress, he did so in order to get rid of thousands of Indians — particularly the Cherokees, Choctaws, Chickasaws, Creeks, and Seminoles — who were not dying and not particularly interested in going anywhere. These were not the Indians that Curtis went west to find. Curtis was looking for the literary Indian, the dying Indian, the imaginative construct. And to make sure that he would find what he wanted to find, he took along boxes of “Indian” paraphernalia — wigs, blankets, painted backdrops, clothing, — in case he ran into Indians who did not look as the Indian was supposed to look. Culture is a slippery business. It is easy to find yourself authoring of a kind of patronizing determinism – especially when what attracts you to a subject is exotic, distant, and other. This is the unfortunate case with Jimmy Nelson’s massive project “Before They Pass Away.” The anthropological assumptions of this project are so heavy handed; are in fact, so loudly announced on the promotional web site, Nelson’s talks, and the book itself, that what might have been a short aside when discussing Nelson’s photographic work demands to be addressed outright. What has “passed away” is a romantic idea of a culture. A fiction. This romanticism is formulaic. It begins by constructing a dichotomy. There is a fundamental difference between us and them. We are first world. They are tribal. Once this separation is established, the others are described with the values one wishes to project: they are noble, original, true, and pure. Ignore such universal realities conflict (inter-family or inter-tribal) and say that they have a sense of peace and harmony that we have lost. This romantic fiction is disconcerting and not a little bit troubling. It’s a form of reverse discrimination. Instead of portraying tribal peoples all as backward, savage, uneducated, and primitive; portray them all as noble, egalitarian, peaceful, pure, and honest. It is still discrimination – it still ignores the reality of the people. Moreover, once you have isolated them as “original” (existing in a kind of idyllic garden before the fall) you can add the tragic narrative stinger – that they will all soon be gone forever. 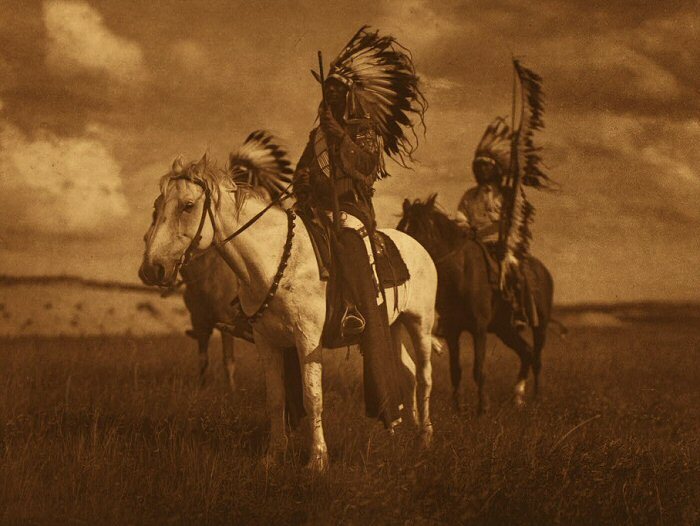 Imagine a meeting with a member of these tribes who does not look like the pictures in the book. Imagine meeting a Maasai man in Kenya, out of traditional dress, working, perhaps, as a night security guard. Is he no longer a Massai? That would seem to be the implication – that you didn’t meet him in time, and that the Maasai, like the rest of the cultures in the book have “passed away.” Perhaps also, during such a meeting, the man is not able to teach you about “love, respect, peace, survival and sharing.” Obviously it was too late. 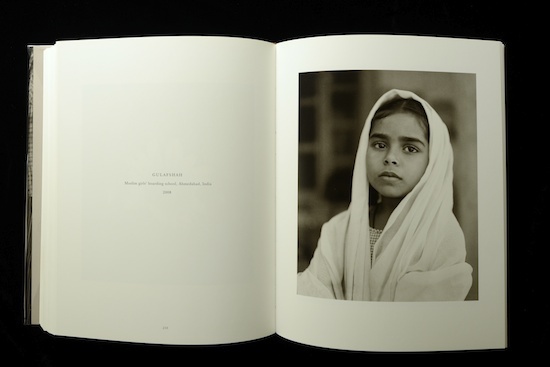 I began this review wanting to praise the photographic beauty of Nelson’s portraiture. 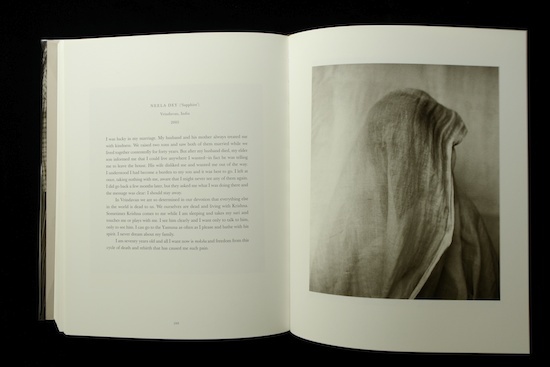 The photographs are exceptional, carefully positioned with delicate light and a direct intimate closeness. I like the formal precision of them and it does not worry me that the subjects are carefully placed and posed. By all accounts Nelson’s interaction with individuals from the various groups was considered and time consuming. I don’t suspect that he exploited individuals and it is not surprising that “Before They Pass Away” is a commercial project. There is nothing inherently wrong with taking pictures of people, tribal or otherwise, provided the interaction is honest. 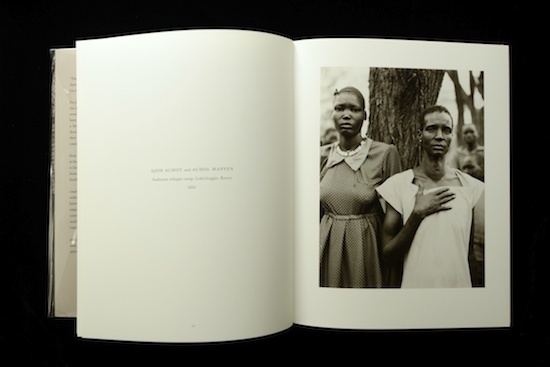 Photographs, after all, are a common method of investigation, discovery, and representation. There are many ways this project could have been staged and presented: as a series of portraits; as a showcase of regalia and costume; as a catalogue of remarkable people. Or better still, let the people speak for themselves. 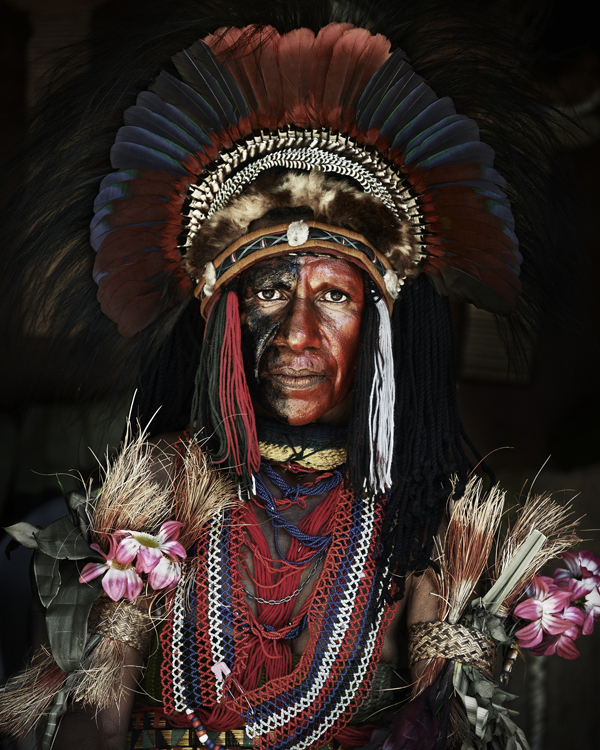 It may come as a surprise to the Tibetans, the Maori, and many others in the book that their cultural integrity depends on Jimmy Nelson’s photographic project. (6) Moreover it may be a shock to learn that their culture is public property, and that the world (presumably the first world so lacking in harmony and balance) has been invited to organize them for posterity. We are invited to paint their souls? With his talk of “the last authentics” and “pure sources,” one almost expects Nelson to start talking about eugenics. In his 2003 Massey Lecture, “The Truth About Stories” author Thomas King talks about the difficulty in presenting himself as a North American native when speaking publically. In particular, if he dressed as a native and spoke as a native he was seen as “entertainment.” Interesting, but not to be taken too seriously. If, on the other hand, he dressed as a white (western suit and tie) and reasoned like a white he was no longer either authentic or native and had no authority to speak on behalf of first nations. There is no escape from the authenticity trap. But who decides what is authentic and how? Is this judgment, in fact, not about cultural integrity at all, but rather about entertainment? 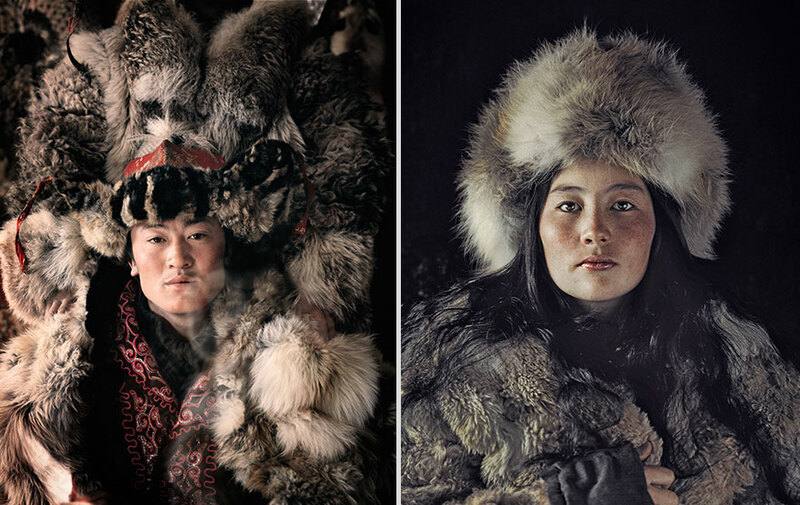 That is, a judgment about visual representation: about Jimmy Nelson’s idea of what it means to be culturally real. Perhaps it would be more “authentic” for Nelson to speak personally, and simply state that he finds the Maori photogenic – the Navajo, less so. He is certainly free to photograph whom he pleases. But making pronouncements about the authenticity of a culture betrays an incredible cultural arrogance. “Before They Pass Away” seems to have the ghostly hand of Edward Sheriff Curtis directing it. Both Nelson and Curtis seem to share more than just their flawed romanticism. Both projects attracted financial backers with deep pockets. For Curtis it was J.P. Morgan (who put up 75,000 dollars in 1906), for Nelson it was Marcel Boekhoorn (who put up an initial contribution of 400,000 euros). 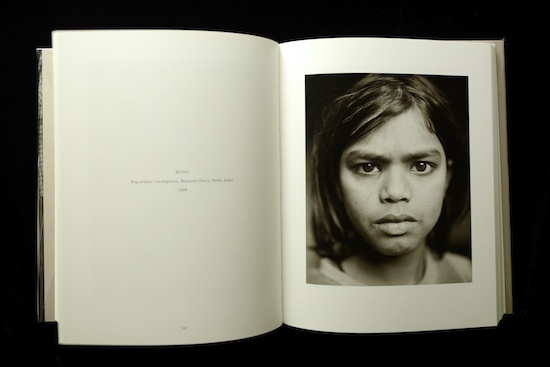 Both photographers have put out extremely expensive, rare book editions of their photographs. It is especially odd that, working today and knowing the criticisms leveled at Curtis, Nelson did not temper or recast his project. It is perhaps equally odd that, knowing that Curtis had completed such an ambitious ethnographic mapping (the largest photographic project in human history – the scope of which Nelson could never hope to match) he still judged the North American tribal cultures as having “not fully retained their heritage.” By Nelson’s own peculiar standards, Curtis’ work failed in the cultural preservation that he so fervently hopes his own exposures will accomplish. Yes, cultures are rapidly changing. Yes, many are endangered (UNESCO estimates that by the close of this century approximately half of 6000 plus languages spoken today will no longer be used). Yes, many cultures are remarkable, possessing attributes, customs, and attire that redefines and expands notions of human ingenuity and creativity. And yes, a well-executed visual record is an invaluable document. A photograph is neither true nor false. It simply is. It is what we say about the photograph which will stand as honest or fabricated. Hence it is disappointing to read a book that had the potential to be one of the most beautiful books ever produced, and find that, instead of speaking about these very real cultures and the challenges they face with an expanding modern culture, Jimmy Nelson has forced them to play a part in a colonialist myth – the myth of the noble savage. In addition to critical writing, Tim McLaughlin is a photographer and designer who has been working to help document traditional craft techniques for over ten years. At times this involves working with tribal cultures (mostly in India). He has worked as the designer on the museum exhibition “Through the Eye of a Needle” documenting the tribal embroidery of the Kutch desert in India. He also edited the documentary film and co-authored the book of the same name. In 2005 he helped bring two of the tribal embroiderers to Canada for the Maiwa Textile Symposium. More recently through Maiwa he has been working with embroiderers from the tribal Banjara community. 3. Within this conversation it is important to keep in mind that many interests (from governments that must honour treaties, to corporations who work in resource extraction) see indigenous cultures as holding rights to territory and status that are a hinderance. There is often a vested interest in eliminating tribal status. If tribal status is interpreted to be the equivalent of visual appearance (or an idea of a tribal people as not modern) then it becomes easier to deny a group status. This is the goal of much government legislation which states who is native and who is not. 5. Before They Pass Away. Trade Edition Book. “Painted Souls: The Beauty of our Origins” by Peter Blaise. 8. Thomas King, The Truth About Stories: A Native Narrative. Massey Lecture Series 2003. Curtis was fascinated by the idea of the North American Indian, was in fact obsessed with it. And he was determined to capture that idea, that image, before it vanished. This was a common concern among many intellectuals and artists and social scientists at the turn of the nineteenth century, who believed that, while Europeans in the New World were poised on the brink of a new adventure, the Indian was poised on the brink of extinction. In literature in the United States, this span of time is known as the American Romantic Period, and the Indian was tailor made for it. With its emphasis on feeling, its interest in nature, its fascination with exoticism, mysticism and eroticism, and its preoccupation with the glorification of the past, American Romanticism found in the Indian a symbol in which all these concerns could be united. Prior to the nineteenth century, the prevalent image of the Indian has been that of an inferior being. The romantics imagined their Indian as dying. But in that dying, in that passing away, in that disappearing from the stage of human progress, there was also a sense of nobility. So his photographs would look authentic. And while there is a part of me that would have preferred that Curtis had photographed his Indians as he found them, the men with crewcuts and moustaches, the women in cotton print dresses, I am grateful that we have his images at all. For the faces of the mothers and fathers, and aunts and uncles, the sisters and brothers who look at you from the depths of these photographs are not romantic allusions, they are real people. 10. 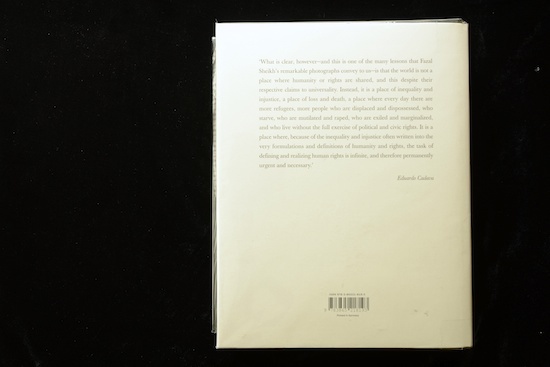 Beforethey.com Nelson’s work is also offered in a more conventional format, measuring 29cm x 37cm, containing 424 pages and four gatefolds. It is a behemoth that requires a table to support it and sells for approx. $150. 11. 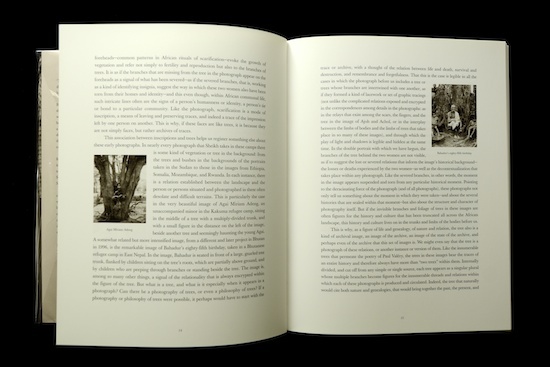 ‘Art-Science’: The North American Indian (1907-30) as Photobook. Shamoon Zamir. 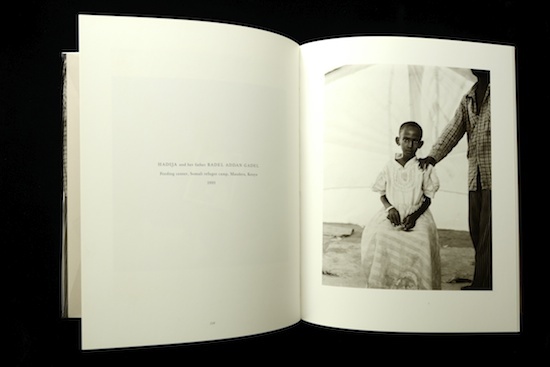 published in The PhotoBook from Talbot to Ruscha and Beyond ed Patrisia Di Bello, Colette Wilson & Shamoon Zamir. 12. Martin Parr and Gerry Badger, The Photobook: A History. Vol 1. A portrait almost always carries the weight of a story behind it. 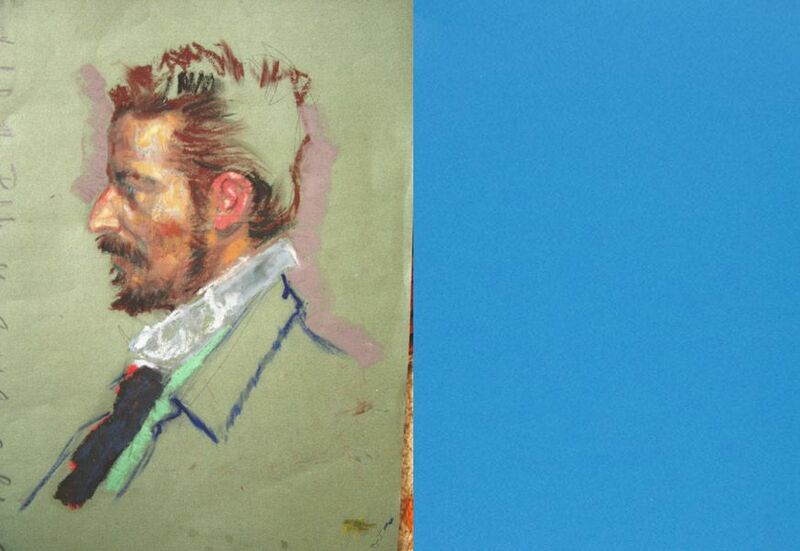 That is, I think, what separates the successful portrait from the others. 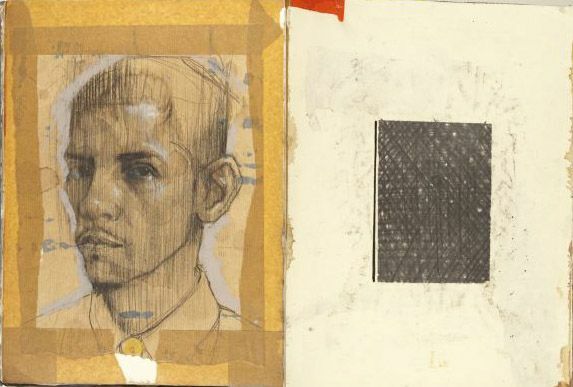 It might even be what separates a portrait from a mere image (if we are talking about photography) or a portrait from a mere likeness (if we are speaking about painting or illustration). A successful portrait has a story and a voice that speaks through the image, wanting to tell it. 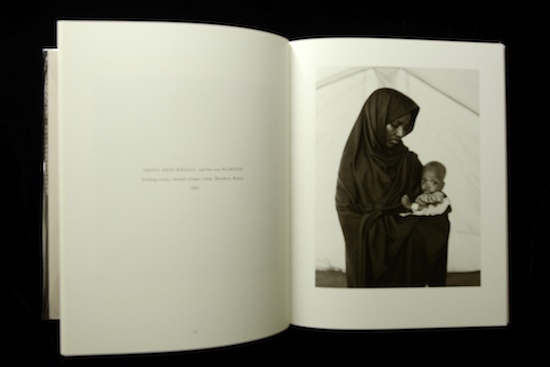 The story behind the portraits of Fazal Sheikh is one of displacement and dispossession. It is not a pleasant story, for human nature is often unrelenting in its violence. Conflict can destroy the very landscape, and where there is no habitation the local population will become refugees. Once driven from their homeland the migrants will loose what little entitlement they may have had. But this is not really the story behind the portraits, rather it is the circumstance under which the portraits have been made. The story, that weight of narrative that rests behind the image, is much more personal. It is, we suspect, much more profound, terrifying, and tragic than could be expressed in words. Yet despite the circumstance of the portraits and the stories behind them, these are humane pictures. There is a kindness in them, almost a tenderness, and a sense that even in the face of hopelessness there is a fundamental human dignity. There is respect and, evidently, a collaboration between the subject and photographer to tell a story. Some of the photographs are quite beautiful. Many convey a disconcerting intimacy. Each of the portraits is accompanied by a short text. Sometimes it is just a name and location and sometimes it is a more complete story— the result of interviews conducted by Sheikh. Fazal Sheikh worked among these refugee communities and began to learn about their experiences. It was here that he first witnessed the lightning visits of international photojournalists, who grabbed their stories and left in less than 24 hours. ‘I remembered watching them working and feeling a sense of unease, an inability to follow along and make the expected photographs,’ he said later. 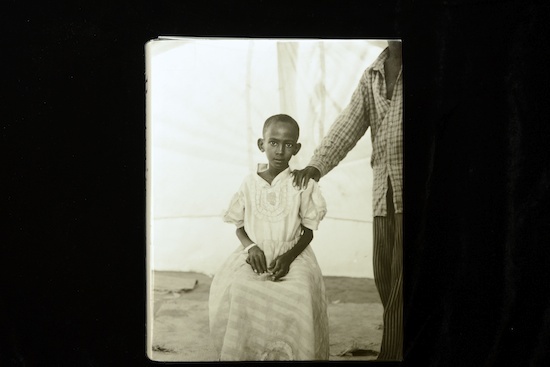 He decided to remain in the camps for extended periods, asking the elders for permission to invite their people to sit for a portrait. The portraits he made in those first months in Kenya established a way of working that has remained fundamentally the same ever since: a simple, direct, respectful rendering of one person, or a group, in front of the camera. The crisis within human rights arises from the fact that, with the appearance of the refugee, the presumably sacred and inalienable rights of man are shown to be entirely alienable, to lack any protection or reality at the very moment in which they can no longer be understood as rights belonging to citizens of a state, or to members of a particular political community. In other words, it is precisely when the non-citizen appears, when the human is divorced from citizenship (even if it citizenship itself that often defines the human) or forced to move from the place that grants him or her citizenship, that rights are lost. What is at stake in the encounter with Sheikh’s photographs is not simply the possibility of seeing and understanding what cannot be seen directly within them but also the necessity of bearing witness to what history has silenced or sought to conceal (which nevertheless has left its traces on their surfaces), to what, arising from the days and nights of memory that are inscribed within them, haunts us, and encourages us to think about the loss and dispossession for which we remain, still today, responsible. 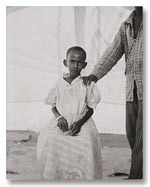 It seems to me that what is at stake with Sheikh’s photographs is not the amorphous agency of history, nor a tenuous culpability that can be attributed to the reader, but rather a notion of dignity and perseverance. What is at stake is this: in spite of the inventiveness of human cruelty and the caprice of fate, the dispossessed do have an identity. 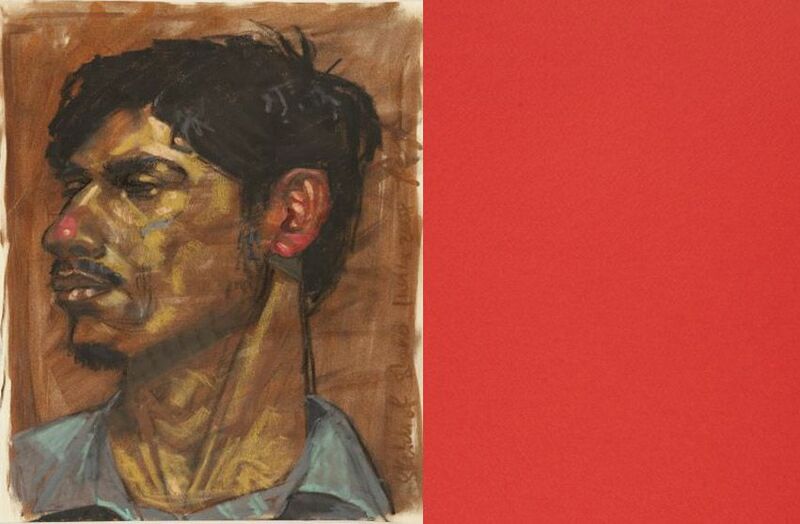 They have a name, and a face, and through these portraits they have a story. 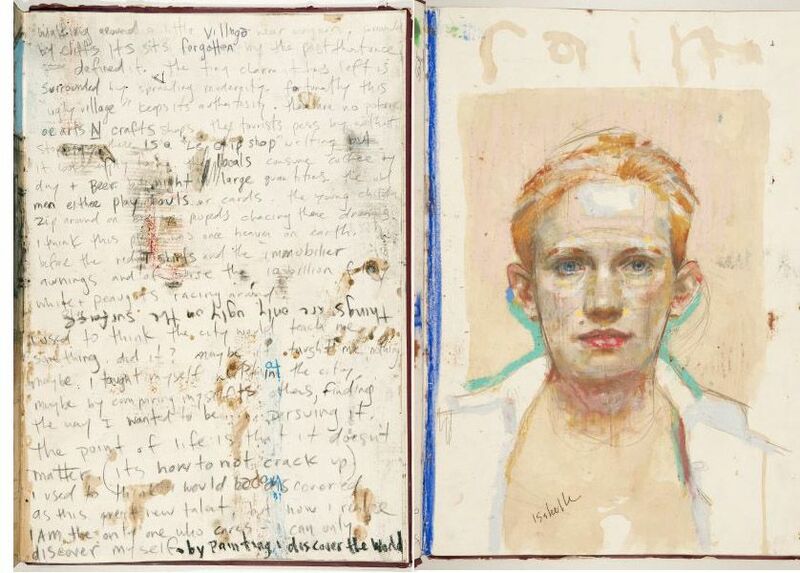 Disclosure: A copy of Portraits was purchased in a bookstore.